Cross this off my bucket list: I’ve loved Peter Cetera for as long as I can remember. Like many children of the 80s, I still harbor a strong sentimental attachment to some of the tunes that might make others groan. Before I was old enough to start developing musical tastes of my own, my mom raised me on a steady diet of light rock, less talk. (No, you just sang the KOIT jingle in your head!) I think my personal trifecta from those days is (in no particular order): Billy Joel, Lionel Richie (with The Commodores and solo), and Peter Cetera (with Chicago but especially solo). At least for me, there is something about the music I loved as a kid that can have the power to invoke a true sense of joy that can be hard to find anywhere else. Last month, my mom won a pair of tickets to see REO Speedwagon and Chicago, and she asked me to go with her. I thought it would be a blast, but I admit I was disappointed at the prospect of seeing Chicago sans Cetera. Between sets, I decided I should look to see if he was touring on his own. Much to my delight, not only was he currently touring, but I found tickets that were a mere two weeks away, in San Jose. Before I could buy them, though, Chicago took the stage, and I put my phone away to enjoy what turned out to be a truly fantastic performance. The next day, I returned to my ticketing site of choice to buy tickets, and discovered I’d overlooked a second date the night before: this one was a month away, rather than two weeks, and I’d have to schlep out to the Sacramento area in the dead of the summer, but instead of just being Cetera solo, it also boasted Richard Marx on the bill. 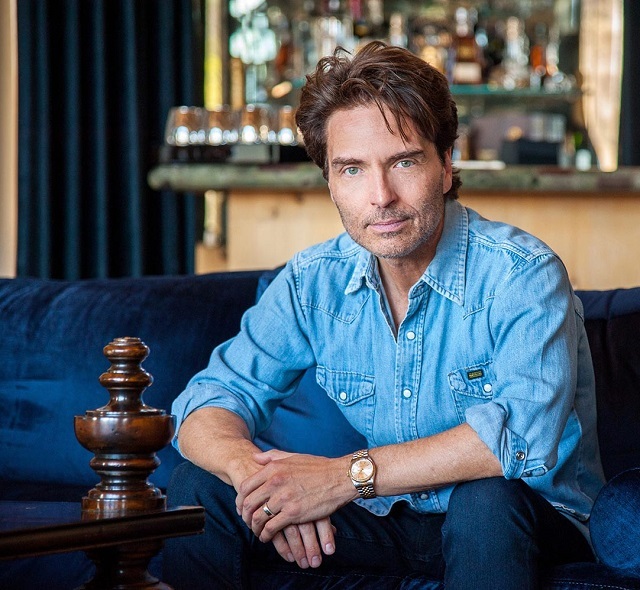 Though this is an artist my mother enjoys as much as I do, he wasn’t an heirloom: Richard Marx is an artist I learned to love all on my own, from the late 80s on. I bought tickets in a matter of moments and then started counting down the days until I could get myself out to Thunder Valley Casino on Friday the 13th (of July). 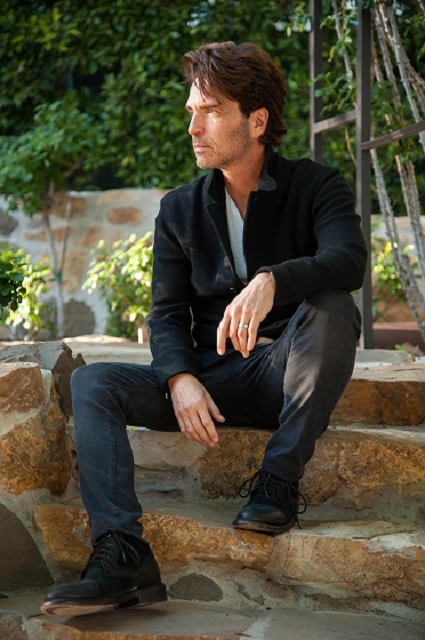 I admit I was too wrapped up in the New Kids on the Block when I first started listening to him to pay much notice to Richard Marx’s looks, but… I see him now! Marx announced that he was happy to see “you guys,” and happy to be there with his old friend Peter Cetera, who he said had “made a deal with some kind of devil, cause he looks exactly the same… And speaking of looking exactly the same…” He used this intro to begin a song from the 90s when he had a “big fluffy mullet,” which was “Angelia.” Before beginning the next song, he started with an explanation: “Now we’ve come to the song that I wrote about a little town in Nebraska about a girl that got murdered. It’s the feel-good song of the night… of the summer! Cause who doesn’t wanna party to a song about a girl who got murdered in Nebraska?” I promise, his humor is on point in person, and not as off-color as it might read on page. The song, of course, was the haunting “Hazard,” and I had worried he might not do it live, so I was excited to hear it. Also, this little intro treated me to his million dollar smile and fantastic sense of humor, which were both welcome surprises. The aforementioned “big fluffy mullet,” for those of you who need a visual reference. The band returned, and Marx announced that they were going to play a couple more songs. “I’m pretty sure you will know them, but you may not know that I had anything to do with them, because I didn’t sing them. I’ve done a bunch of that over the past 94 years with and for other artists.” The first was one he’d written and produced for *NSYNC, which was “This I Promise You,” and I will admit to having been a pretty big *NSYNC fan in their day. Even so, Marx’s version was lovely, and he paired it with a great story about his experience recording it with the band in the height of their heyday, and being so excited when one of the many young, attractive ladies stalking the band at the studio recognized him. He was so flattered that she knew who he was, and was visibly excited to be meeting him, until she cried, “my mom loves you!” and brought him back down to size. Next was a song he wrote for Keith Urban, which became a #1. 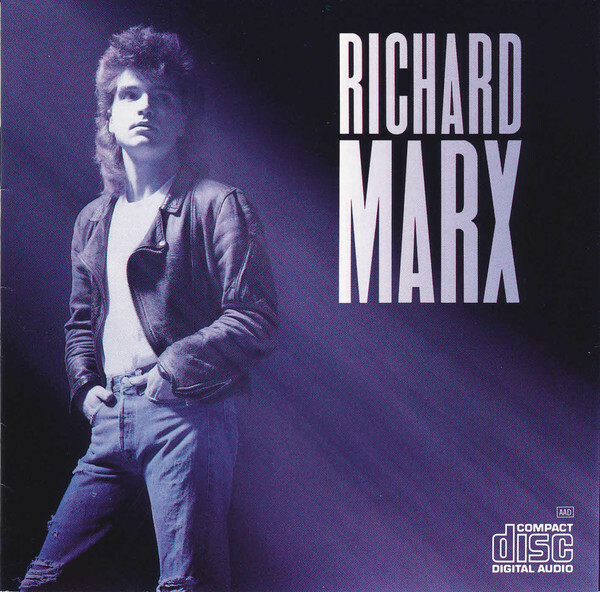 Marx remarked that it was his favorite of the songs he’d done with Urban; it was the other song I didn’t know of Marx’s set, a song called “Long Hot Summer.” Suffice it to say it was appropriate for the night. Next Marx made a return to “the mullet days,” but not without pausing to introduce the members of his band. “We make a lot of noise for a few guys. Damn!” They took the crowd back to 1987 then with “Should’ve Known Better,” and then another from the “same album, same year, but actually my favorite song I’ve ever written if for no other reason than that this is the song that introduced us to one another back in 1987.” The song was “Don’t Mean Nothing,” and concluded with a gorgeous a cappella ending. Marx sat at a piano then to conclude with “Right Here Waiting,” which was everything I could have ever wanted it to be live and then some, especially with a lovely crowd chorus singalong. Richard Marx could have played for another three hours if he had the material, and I would have happily listened. Sadly, there wasn’t much more, but that also meant that he hadn’t excluded a single song I wanted to hear. In between acts I ran out to the beer garden for a drink and overheard someone complaining, “can you believe this is going to be a four hour concert? !” I shook my head, thinking people will always find something to complain about. I, on the other hand, was thrilled to have had a glorious first-half of the show, and hurried back to my seat in anticipation of the headliner. No, seriously… was he always this hot? After what seemed like an eternity (remember, I’ve been a fan for 30+ years and this is the first time I’ve seen this man) but in reality was a pretty quick turnaround, the band appeared on stage and began “Restless Heart.” The first thing I noticed was how fantastic Cetera sounds live. If anything, he might even sound better live than recorded, but either way it was impressive: his voice is seriously flawless. “Baby, What a Big Surprise” came next, and I noted then that Peter Cetera is 73 years old, but could easily be one of Marx’s contemporaries. He looks, moves, and sounds like he’s 15-20 years younger than he is. Also, I noted (and literally not for the only time of the night) that he has swagger. I can’t even describe what it is that makes me say that, but I said it several times that night. He carries himself with such a confidence, and the way he moves (not exactly dancing, but he just floats across the stage and moves to the music) is something you don’t see every day. He’s a born performer, and I guess it makes sense: he was in Chicago before I was born, he’s been doing this forever. He’s a living legend, if you ask me. Cetera talked about life in Chicago at the beginning of a time with music videos. “To be honest, they were really crap. When they first started, you’d just stand there and lip sync. Then, they started adding storylines… if you wanna YouTube this video, I think it’s still on there. It’s in black and white, and it’s still a great video. Spoiler alert: I lived at the end of this one!” The song was “Stay the Night,” and while I found it easily on YouTube, it’s not in black and white anymore…it looks like someone has gone back to remaster/recolor it. “So, a while back, I was asked to write a song for a movie,” Cetera began. “They ended up not using it. A few weeks later, it ended up being used for a different movie, and I went to the Academy Awards with this one…” The song, of course, was “Glory of Love,” which many know from The Karate Kid Part II, but the movie he referred to, for which it was written, was actually Rocky IV. 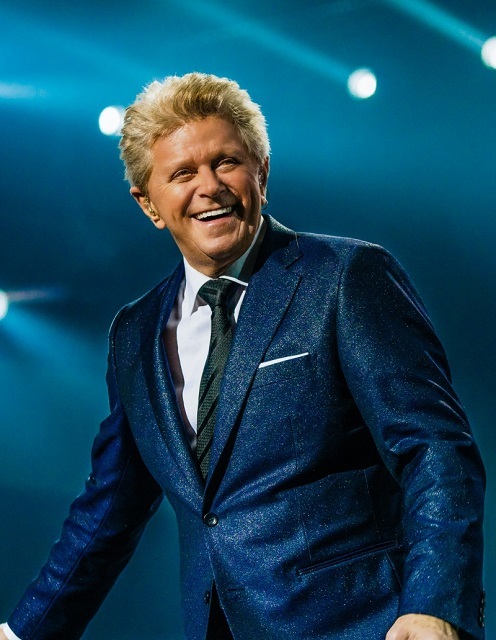 Of course Peter Cetera appeals to a Napa girl: he’s like wine that gets better as it ages. “Here’s another one I wrote a few years ago…” Cetera introduced. Having apparently given the crowd a sufficient once-over, Cetera added that, “none of the women were born yet, I’m afraid. All these men, though… what are all these old men doing with all these beautiful women? !” The song “If You Leave Me Now,” proved his point, at least for me: it was written in 1976, and I was indeed not yet born. Still, it’s never kept me from loving the song, and I caught myself grinning from ear to ear, not for the first (or last) time that night. The crowd singalong during the chorus was perfect, too. 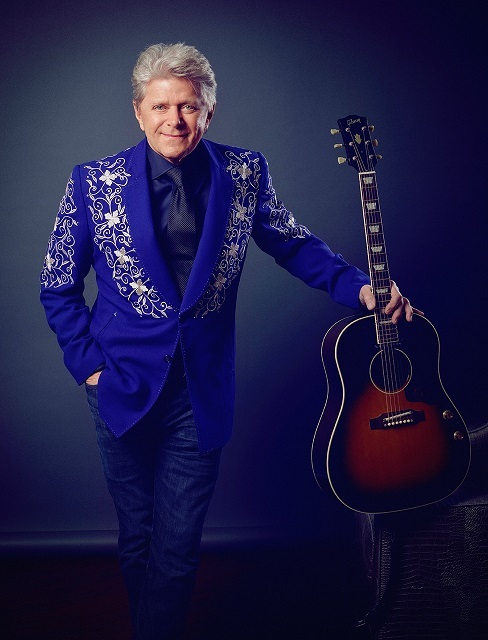 The next song began with Cetera explaining that he’d been asked to write a song “years ago” for Kenny Rogers, but that “by the time I gave it to him, he didn’t wanna do it. Oh well. Kenny, you should’ve done the song.” It was “You’re the Inspiration,” another of Cetera’s more massive hits. I for one am glad that Rogers passed, because it would have become an entirely different song, and I love it as it is. “What an awesome crowd!” Cetera gushed, stopping to give a heartfelt thanks to the crew who “make it easier on us, even the guys sellin’ the beer!” He then introduced the band, the Bad Daddies, telling an anecdote about a performance they did in Chile where they were announced as “Los Papis Malo.” Cetera then vacated the stage to give his backup band and singers a chance to shine, first with Hancheroff singing “Oh Darlin’,” followed by Chris Rodriguez singing “Come Together.” At the close of the latter, Cetera returned to the stage, standing serenely with his hands folded, just listening and enjoying the intro to the next song, which was “Next Time I Fall” with Hancheroff singing Amy Grant’s part. “We’re gonna close with a couple of songs. This next one is the last #1 I had with Chicago. I sang it with Bill Champlin.” The song was “Hard Habit to Break,” which is my personal favorite Chicago song, and it didn’t disappoint. “If you remember this one, sing along,” Cetera invited as he began the final song of the regular set, which was “Hard to Say I’m Sorry” with “Get Away” mixed into the end. Suddenly it was over, and while there was only one song I still wanted Cetera to do, I wasn’t ready for it to be over. Thankfully, he and the band materialized back on stage in a matter of mere moments for a quick encore of “Feeling Stronger Every Day” and then “25 or 6 to 4.” With a quick “you guys have been awesome, thank you!” he was gone as quickly as he had appeared. To say that this night crossed two major items off my concert bucket list would be an understatement. Beyond that, it reminded me how awesome Richard Marx is, and also fulfilled a lifelong dream of seeing Peter Cetera live. I was far from ready to leave the lovely high of the past several hours, but I floated back to my car in a fog, 90° at 11pm or not. Between sets, I heard more than one person wondering aloud why Marx was “the opener,” but the reason is simple: both of these dudes are bloody brilliant in their own right, so it really doesn’t matter who plays first. Honestly, I would’ve been stoked to see either of them on his own, but put them together and all I care about is getting there. And I’ll be looking for future chances to do it all over again, because a night like this could be a hard habit to break. Until the very next time I can see either (or both!) of these stellar performers again, I’ll be right here waiting.